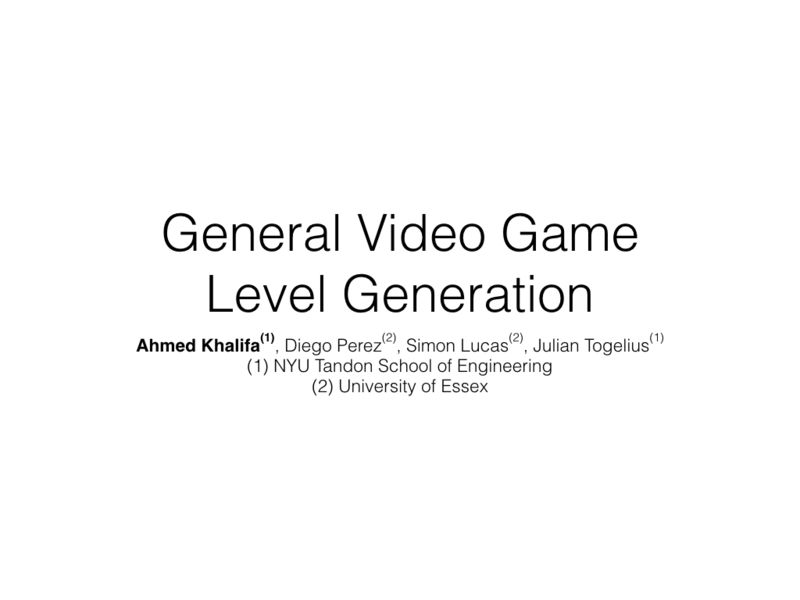 This is my talk in GECCO16 for our paper “General Video Game Level Generation“. 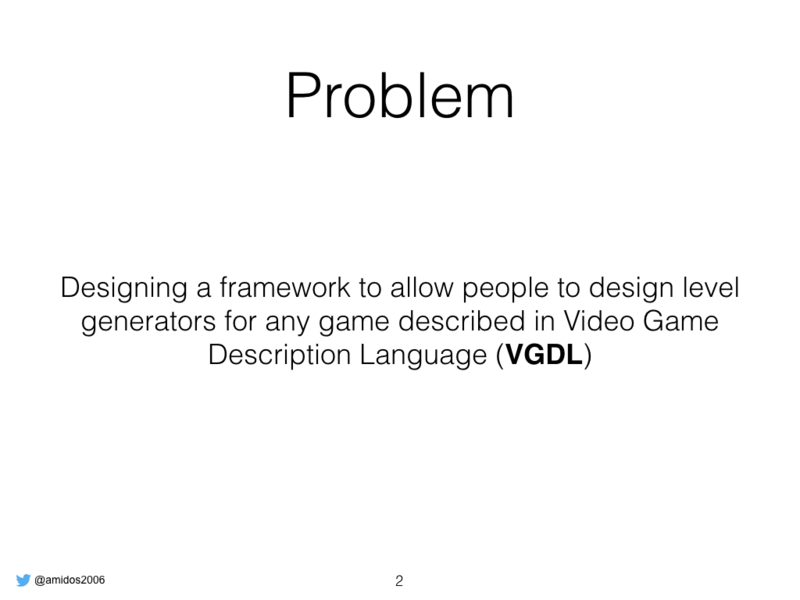 We want to design a framework that allows people to develop general level generator for any game described in video game description language. So what is level generation? 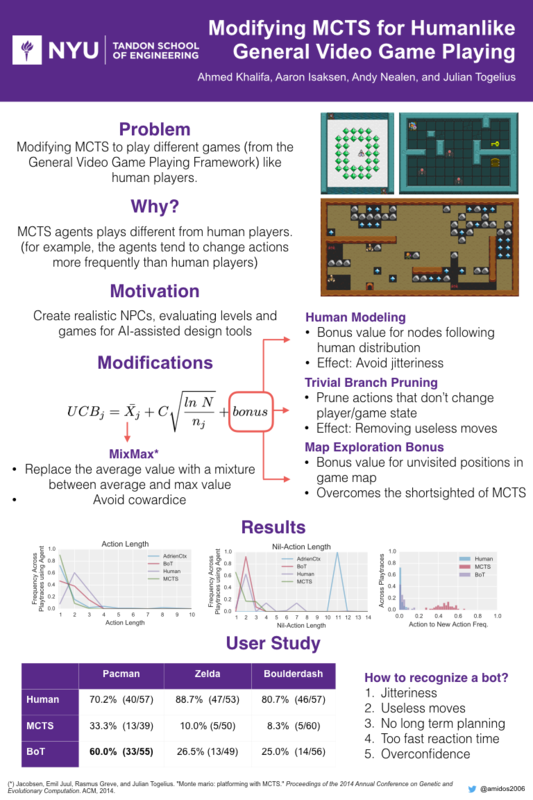 It using computer algorithm to design levels for games. People in industry have been using it since very long time. At the beginning the reason due to technical difficulties but now to provide more content to user and it enables a new type of games. 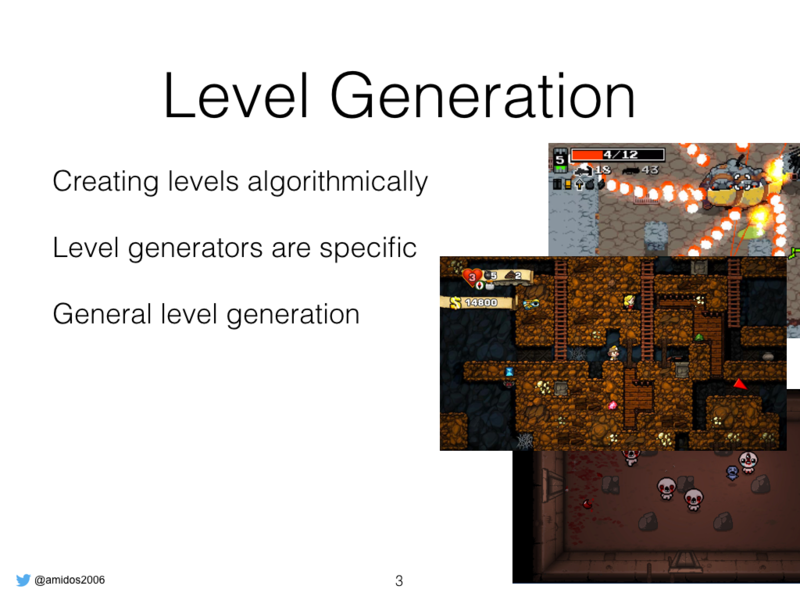 The problem with level generation is all the well known generators are designed for a specific game. So it depends on domain knowledge to make sure levels are as perfect as possible. Doing that for every new game seems a little exhaustive so we wanted to have on single algorithm that can be used on multiple games. In order to do that we need a way to describe the game for the generators. Hello everyone, I am Ahmed Khalifa, PhD student at NYU Tandon’s School of Engineering. 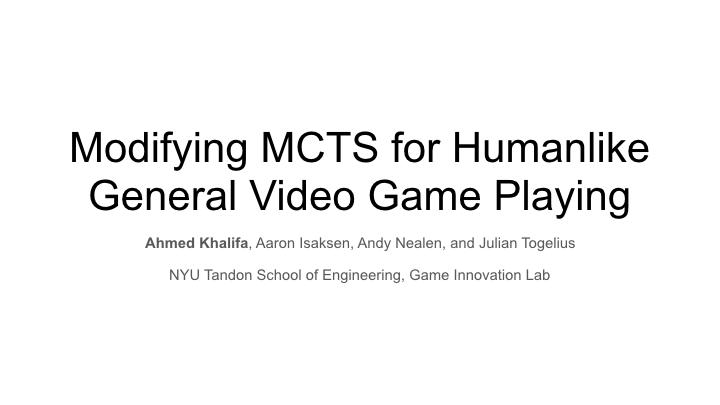 Today I am gonna talk about my paper “Modifying MCTS for Humanlike Video Game Playing”. This gonna be the largest post of all time, which will make you remember old days when I was writing about lots of stuffs and concepts and lots of amazing things. This post is so long so if you are busy now you can check it later as it will took alot of time to check everything in it and this post will be starting for series of posts which gonna talk about my career and my coming games and my thoughts.